Venture Days IE Venture Days are international events designed to foster the entrepreneurial ecosystem, connecting the best startups, investors, corporations, accelerators and thought-leaders. Every Venture Day lasts between 4-8 hours, and its format is a combination of keynote speakers, panel discussions and a startup competition with the most-promising entrepreneurs of the region. The conferences are open to the general public, and IE students and alumni as well as individuals from the local and regional entrepreneurial communities are invited to participate. Our Venture Days take place in cities around the world, connecting the entrepreneurial community across all continents. In the past three years, we have held more than 35 International Venture Days in cities such as Shanghai, Tokyo, Miami, Bogota, London, Santiago de Chile, Paris and many more! 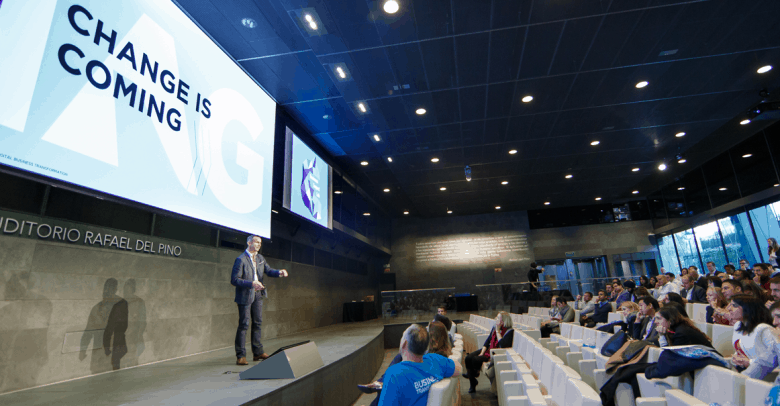 Moreover, every year Madrid hosts two Venture Days with more than 500 attendants, which celebrates the winners of our Venture Lab Accelerator program. In 2018, we will organizae more than 15 Venture Days around the world so stay tuned to our upcoming announcements of cities and dates! 1. Startup developing innovative technology in any industry or sector. 2. Committed team (at least 1 person with full time commitment). 3. Startup already founded or at least in the process of being founded. Innovation: Product/service, business model, and/or route to market. Scalability: International commercial potential & scalable business model. Team: A mix of relevant skills & experience. Market: Clear & large market opportunity. Status: The startup must have a full-time dedicated team and product/service in the market with early traction (customers and/or users). Contact us for more info on our Venture Days.